Were you involved in a car accident in West Palm Beach? Car accidents are very common in West Palm Beach and Palm Beach County, Florida. If you or someone you know was injured in an auto accident in West Palm Beach, you should hire the best car accident lawyer to help you understand your legal rights and litigate a full and fair settlement. 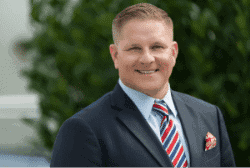 West Palm Beach County personal injury attorney David Shiner and his top-rated injury lawyers represent crash victims who suffer from injuries as a result of a negligent persons actions. If you have been injured, call our personal injury firm at 561-777-7700 for a free consultation. Our attorneys can help with finding treatment, collecting medical records and bills, and other vital information to support your personal injury claim. Distracted driving at high traffic intersections causes more serious injuries than previously reported. According to local statistics, the most dangerous road intersections are located at Military Trail and 45th Street, Okeechobee Boulevard and Palm Beach Lakes Boulevard, Okeechobee Road and the Turnpike, and throughout Jog Road and other highly trafficked areas in West Palm Beach. As you might think, the combination of congested areas and distracted driving causes a significant amount of car wrecks. These wrecks leave people injured, out of work, with increasing medical bills, and other damages. Florida law is relatively permissive when it comes to distracted driving and cell phone limitations. Cell phone laws fall into the broad categories of primary laws and secondary laws. In primary law states, law enforcement can issue a ticket for using a cell phone. By contrast, law enforcement officers in secondary jurisdictions like Florida must have an independent basis for stopping a motorist. This could be speeding or failing to stop. Further, motorists are permitted to talk on a cell phone while operating a motor vehicle in West Palm Beach and elsewhere around the state. In our law firm, we encounter situations where distracted drivers cause not only auto accidents but their actions result in pedestrian injuries, bicycle accidents, and even can cause wrongful death cases. Texting behind the wheel has been referred to as the “new drunk driving” because of the impact of this form of distracted driving. Studies have found that driving skills exhibited by texting drivers is as severe or even more dramatic than intoxication. A survey by the Transport Research Laboratory (TRL) found that texting motorists are more dangerous than alcohol-impaired drivers. The researchers determined that texting drivers have slower reaction times by 35 percent. Drunk driver reaction times were only impaired twelve percent. Drivers under the influence of marijuana exhibited reaction times 21 percent slower than normal. Intersections constitute one of the most prevalent locations for collisions involving distracted drivers. Motorist engaged in texting on a cell phone in violation of Florida’s texting and driving laws experience distraction on three separate levels: mental distraction, visual distraction, and manual distraction. Motorists texting have their eyes diverted while their mind is occupied with understanding the information. This type of multi-level distraction creates a high risk of crashes at intersections. A vehicle can travel the length of a football field in the time it takes to compose a text message. Due to this drivers should never engage in this type of activity, especially near intersections. The car accident attorneys at the Shiner Law Group have been representing injured victims of car wrecks for over 15 years. Our trial lawyers have handled different types of automobile accidents that have occurred throughout Florida and Palm Beach County. What is interesting is that recently, the West Palm Beach accident attorneys at Shiner Law Group have received a higher volume of calls from injured individuals who were hurt in accidents in West Palm Beach and the surrounding areas. Specifically, our West Palm Beach personal injury lawyers have observed an increase in car crashes near I-95 and Okeechobee Boulevard in West Palm Beach, the Florida Turnpike and along Federal Highway. What’s more, in our legal opinion, there has been an increase of rear-end accidents and “t-bone” accidents near the Florida Turnpike or City Place and the nearby streets such as Flagler Drive in Palm Beach County — our experienced trial lawyers conclude that this may be a direct link to drinking and driving or distracted driving. Of course, it has been proven that drinking and driving (DUI or DWI) can cause more serious injuries such as spine injuries, back injuries, head injuries, broken bones, and even death. Should I speak to the other insurance company? One of the common questions people ask of our law firm after a car accident is whether they should speak with the insurance company directly. In our experience, it is always preferable that you allow your lawyer (or representative) speak with the insurance company on your behalf. Car insurance companies hire people who know how to ask questions in order to elicit information that may end up being harmful to your claim. If you haven’t already spoken with the insurance company, it is advisable that you call an auto accident attorney to discuss your legal options. How soon after a car accident should I hire a lawyer? After a car accident you should immediately start looking to hire a qualified lawyer to represent you. Accident happen throughout Florida and right here in Palm Beach County we have one of the highest number of accidents on the road throughout the entire state. In most cases, after a car crash, you will be sore or hurt which will make dealing with the aftermath of the accident difficult. In most cases, the law firm you decide to hire will assist you in dealing with car repairs, doctor referrals, medical bills, etc. Thus, it becomes important to hire the best West Palm Beach car accident lawyer to help you navigate the insurance claim process. What do I do if I was hurt in a car accident in Florida? If you were hurt in a car accident that occurred in Florida you should know your basic rights under the law. The first question that you should ask is, how bad was the traffic accident? If the accident was significant and you were hurt then you should immediately seek medical attention. Frankly, whether the accident was severe or minimal, it is always advisable to seek proper medical care after any type of accident or injury. Medical documentation will significantly assist your West Palm Beach car accident attorney in seeking to obtain the best financial recovery. PIP will pay for 80% of your reasonable, necessary, and related medical bills. These types of medical bills include orthopedic doctors, hospitals, surgery, prescription costs, dental expenses, etc. Personal injury protection coverage will also apply to any lost wages. If you are able to establish any lost wages then PIP will cover 60% of those lost wages. There is also a $5,000.00, death benefit that applies which is in addition to the other costs PIP is responsible for. Reimbursement for mileage to and from your doctors. Florida law encourages you to be honest and open with the police when they show up to the scene of the auto wreck. There is an “accident report privilege” that will apply to anything you discuss with the police officer at the scene of the accident. The purpose behind this law is to allow the police and investigators to secure as much information as possible in order to complete their accident report. What do car accident lawyers charge as Fees? Car accident attorneys in west palm beach are limited by law as to how much money they can charge someone to work on their case. As a matter of fact, all car accident law firms in Florida are limited as to the maximum they can charge by law if they charge based on a contingency basis. Generally, the Florida Bar limits the amount a lawyer can charge to 33 ⅓ % of any recovery up to 1 million dollars before a lawsuit is filed. After a lawsuit is filed, a lawyer can charge 40% of the gross recovery whether that occur from settlement or trial. If you have questions about how much money you should be charged after an accident contact the lawyers at the Shiner Law Group to discuss your questions during a fee no cost consultation. How much time do I have to file a car accident lawsuit? What are the Statute of Limitations in Florida? Florida law limits the time period you have to file a lawsuit after an accident. Specifically, the Florida statute of limitations are cover by Florida statute section 95.11 (2018). Generally you will have four (4) years after an automobile accident to file a lawsuit. If you fail to file that legal action before the statute of limitations expires then you will be forever barred from bringing a claim for your injuries. This is just one more reason that it is important to hire a local West Palm Beach car accident law firm to best protect your financial interests. How many car accident cases has the attorney’s office handled? The lawyers at Shiner Law Group have represented thousands of people who have been hurt to no fault of theirs. The professionals in our auto accident law firm have specialized skills and knowledge to give you, our client, the best chance of winning the most amount of money for your case. Our law firm’s reputation is important to us and we strive to make sure that we receive the highest reviews for top rated car accident attorneys in West Palm Beach and throughout Florida. If you need to speak with a lawyer immediately because you think you may have a case, then call our group of professionals now for a free case consultation. With years’ experience representing personal injury victims and their families in West Palm Beach, Florida, our law office has a proven results-driven approach to overcoming insurance companies’ tactics and getting you the most money our clients deserve. Did you search for a West Palm Beach car accident lawyer near me, if so, look no further – at the Shiner Law Group our experienced trial attorneys know how to handle your personal injury case. At the Shiner Law Group our car accident attorneys will provide a free consultation to discuss your case with you and will spend the time you deserve to answer your questions related to your accident. Our clients have told us that when they searched for a car accident lawyer the law firm of Shiner Law Group is at the top of the list and our attorneys want to keep up our reputation. • Involved in a West Palm Beach Car Accident?